You have already applied normalize.css but there is still additional white space underneath an image. This is because the browsers by default will recognize the images as an inline-element, hence additional “line-height” is apply. Noticed that extra space (line-height)? What is the difference between “*” and “+”? 3ab – will not return any match as “+” required one or more times matches. Date.workingDaysFrom(fromDate) calculates the number of working days between 2 Date objects (excluding weekends; Sat and Sun). The method will return “-1” if the fromDate is an invalid Date object or is later than the compared Date. Do take note that this method does not take public holidays into consideration and each date is consider as a full day. WebSphere: How to Access Portal Theme Tags in JSP? Add “<%@ taglib uri=”/WEB-INF/tld/portal.tld” prefix=”portal” %>” in order to access the portal theme tags like “<portal-logic/>” and “<portal-navigation/>“. We have logged a PMR with IBM recently about the browser is complaining that it could not load ‘dojo.nls.dojo_en’. 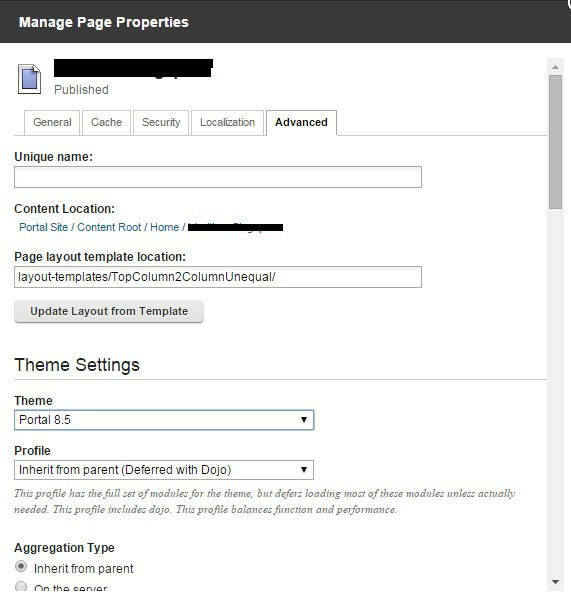 And IBM official response is to apply Deferred with Dojo (“profiles/profile_deferred.json”) theme profile directly to the page and this resolves the issue for me. At the front-end, turn on the “Edit Mode“. Click on Menu (below Edit Mode) > Edit Page Properties. Click on the Advanced tab and select “Deferred with Dojo” Profile. Note: A simple method (which I like) is to add in “resourceaggregation.profile” page property and set “profiles/profile_dojo_deferred.json” as its value. Where is WebSphere Portal Jars? Below is the jars file location for WebSphere Portal 8.5 SPI. Just drop us a comment if you need to find out the jar location of any WebSphere Portal classes.